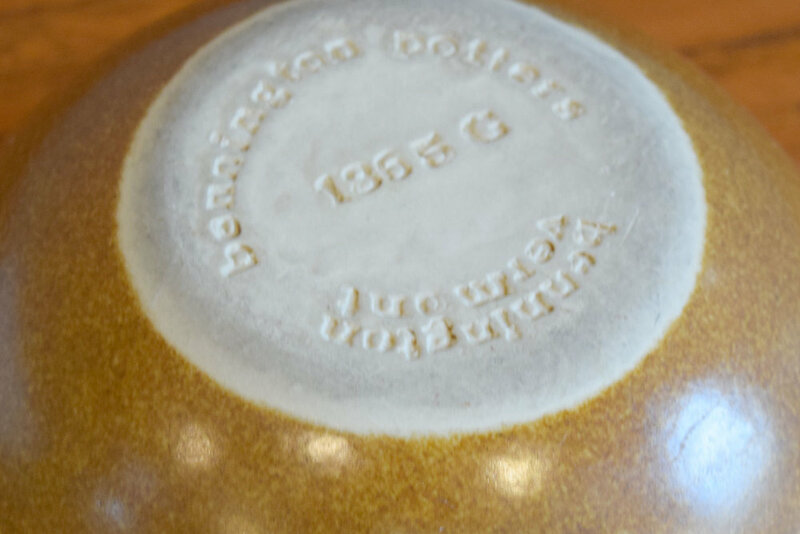 Bennington Potters # 1365G bowls by Yusuke Aida & David Gil. Deceptively simple and pleasingly asymmetrical. 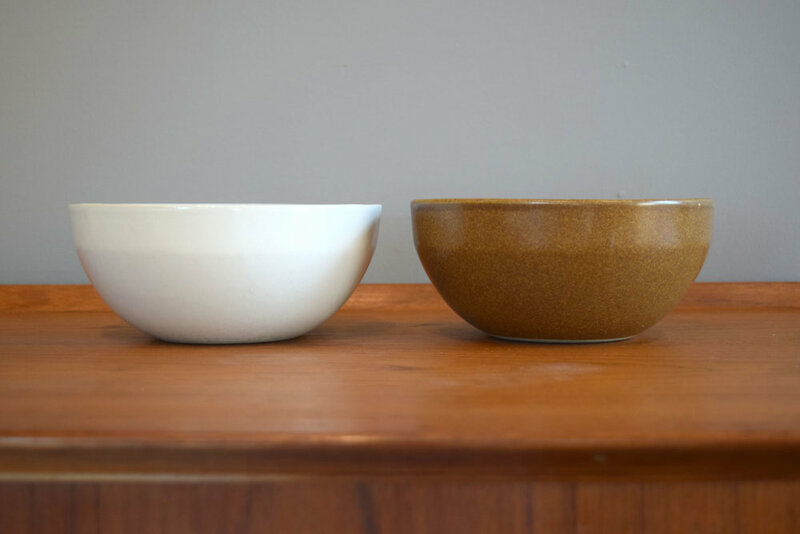 Brown bowl is in excellent vintage condition. 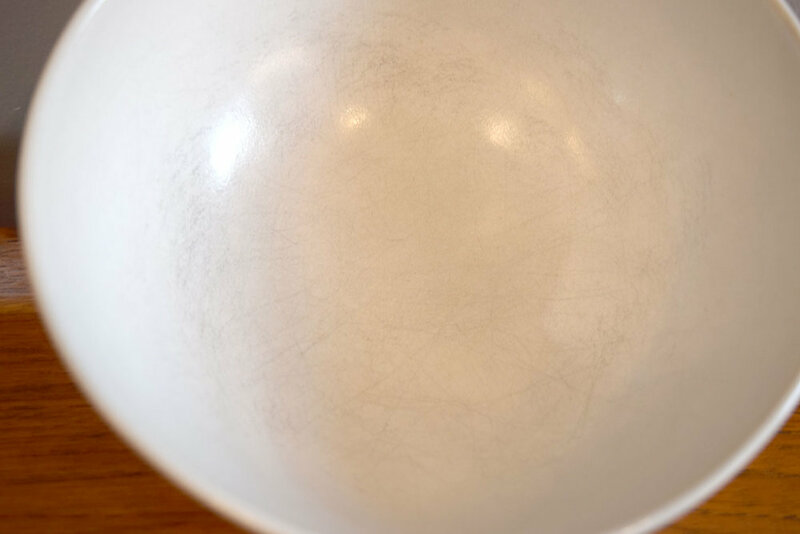 White bowl shows stir marks to interior.